Everything players need to know about gambling online in the United States including state vs federal laws, which sites are legally licensed and who can be trusted for fair play and reliable payouts. This website was developed as a resource guide for American residents who are interested in engaging in legal online betting. Let's be honest the online gambling landscape in the US is nothing if not confusing. The complexity of state vs. federal laws concerning gambling is not easy territory to navigate, and many USA gamblers are unsure what they can legally participate in and what is off limits. Inaccurate or outdated information about the legalities surrounding online gambling in the United States can land you in a questionable situation. As industry professionals, we recognized pretty quickly that there was a need for a concise, comprehensive and accurate resource guide that can shed light on this topic, and send American residents off as informed gamblers with a clear understanding of their options. We come at this from two different directions. First and foremost, we are die-hard online gamblers, avidly participating in all types of gambling. Secondly, we serve as professional industry consultants that are proficient in vetting legally licensed US online gambling sites and the services they provide. Combined we have several decades of gambling experience under our belts and are well versed in the nuances present within this industry, especially with the legalities of gambling from a state and federal perspective. Our range of experience as players and professionals has provided us with a well-rounded perspective of each niche within the industry. The information you find on www.legalbettingonline.com is accurate, up to date and invaluable to players who enjoy gambling online but want to do it legally within the confines of the law. The good news is there is nothing illegal about gambling online in the United States as long as the site is located outside of US borders. Even US Attorney Catherine Hanaway openly admitted in a 2007 congressional hearing that “There are no current laws or prohibitions in the federal code that would make online gambling illegal in the US”. Learn more below in our FAQ section. Online casinos are a dime a dozen. There are hundreds of casinos on the Internet that will gladly accept US players looking to gamble for real money. However, this doesn't mean that all of these destinations are legitimate or hold proper credentials. Limiting your online gambling to licensed online casinos that are subject to certain regulatory oversight is crucial to your well-being and profitability as a player. You also want to consider the features and amenities at these sites, such as which ones offer the most lucrative bonuses and incentives as well as stellar service. 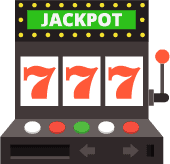 Our team of professionals has carefully vetted the leading legal online casinos operating on the Web. The brands that we approve have a proven track record in the industry for delivering a no-nonsense, ethical gambling experience with fair and competitive odds, fast payouts and excellent support. We only recommend the most respected sites that have longevity in the industry and can legally accept USA players. While these two laws do combine to make it unlawful to operate bookmaking services in the US across most of the nation, they do not prohibit American residents from wagering on sports through licensed and regulated sportsbooks located outside of the United States. You can legally bet on sports at any of the destinations recommended in our legal online sports betting guide. We always vet our recommendations carefully and only provide access to the most reliable and trustworthy destinations for US players. The online poker industry has (in poker jargon) thinned the heard in recent years. A number of poker sites have exited the US gambling market making the options very limited in the US. The good news is that several states now offer legal online poker with many others are working on legislation. Until that reality is seen in all its glory, there are still some extremely reputable and high quality poker sites that are licensed to accept US players legally from their offshore destinations and international license. Each of these sites has been carefully evaluated and vetted through our intense review process, and are among the top rated options for USA players. There are no laws against playing online poker for real money via an offshore site. Which Federal Laws Affect Online Gambling For United States Players? Here you will find a listing of the relevant federal laws that govern gambling within the United States. These laws are applied to US based gambling, and are primarily targeting gambling operation owners and payment processors and not players themselves. The government is most interested in prohibiting illegal gambling operations rather than monitoring the activities of players. Our explanations of these laws goes into greater detail on the actual application of the laws. UIGEA - The Unlawful Internet Gambling Enforcement Act (UIGEA), was passed in 2006 with the objective of providing regulatory oversight regarding how online gambling transactions could be processed. By definition, this law prohibits online gambling businesses from receiving online payments from players who wish to profit from games of luck in regards to wining positions or numbers. This law stipulates that all online gambling businesses and all those parties that facilitate the transmission of the funds from the player to the business are committing a crime. This law has been the center of criticism due to its ambiguity and the fact that it does not clearly define which online games are subject to the law and which ones are not. The common misconception regarding this law is that it made online gambling illegal across the board for US players. The fact is that the UIGEA law only addresses the handling of the gambling transactions handled through participating payment processors, and does not address or go after players at all. Paspa - The Professional and Amateur Sports Protection Act, also known as the Bradley Act, is a federal law that regulates sports betting in the United States. It was enacted in 1992, outlawing sports betting across the nation with the exception of four specific states: Delaware, Montana, Nevada and Oregon. At the time of the bill's passage, a one year grace period was allowed for other states that were already engaged in the gambling industry in order to allow them the opportunity to include sports betting within their range of options. New Jersey was one of the states expected to take advantage of this option at the time, however they failed to do so. Once the 'grace period' was up, the law was set in stone. This means that it is illegal for anyone to operate a sportsbook within the US unless you are licensed in one of the four approved states. Several states, including New Jersey, are currently working towards the repealing of PASPA as unconstitutional. New Jersey has proceeded with establishing a state regulated sports betting initiative. The issue is still undergoing legal action in the federal court system. The good news is that this law does not affect US sports fans seeking legal access to regulated online sports betting through licensed offshore sportsbooks. Wire Act Of 1961 - Also known as the Interstate Wire Act of 1961, the Federal Wire Act is another federal law that governs sports betting. The difference between this law and PASPA is that it specifically targets online betting transactions. The DOJ has stated that this law only targets sports betting, and does not apply to internet casino or poker gambling. The purpose of this law is to restrict wire transmissions that are directly related to sports betting. It was originally conceptualized in order to curtail organized criminal activities that were rampant at the time, including money laundering and trafficking. This all occurred long before the emergence of the Internet, which has caused a great deal of controversy throughout the gambling market in the US due to the government's insistence on applying the law to Internet gambling. The Federal Wire Act does not prohibit any US residents from legally enjoying licensed and regulated offshore sportsbook gambling from destinations that are legitimately operating within the industry. It is to be noted that the Federal Wire Act does not affect any other betting or wagering of online games. Again, the law does not hold jurisdiction over wire transmissions (communication or funds processing) between States if such wire transmissions do not have anything to do with sports betting. Under this law, online gaming and wagering is perfectly legal. Rawa - The Restoration of America's Wire Act is a piece of legislation that has been introduced but has not gained a lot of traction as of yet. The bill would redefine the Wire Act, issuing a nationwide ban for state based online gambling across the US. Under RAWA, the existing online gambling sites operating legally within the US in Nevada, Delaware and New Jersey would be rendered as illegal businesses and forced to cease operations. We do not expect this measure to be passed as it has not received the support it needs to gain momentum, and has fallen to the wayside in light of more pressing legislative issues in Washington DC. Our US federal gambling laws section covers each of these laws in great detail and how these laws might affect USA players. There seems to be a lot of confusion regarding the legalities of gambling online in America. To put it as plainly as possible, there are no laws that specifically make the act of online gambling illegal from a players perspective with the exception of Washington state who explicitly outlaws online gaming. What is illegal is owning or operating an online gambling site within the U.S. borders. Or to look at it another way, accepting bets is illegal, but placing them is not. In 2011, the DOJ issued a formal opinion about the reach of the Wire Act saying it only applies to sports betting and not to casino and poker gambling. They also stated that it was up to each individual state to determine their own destiny regarding online gambling. Since then, New Jersey, Delaware and Nevada have legalized some form of online wagering, with multiple states pushing forward with legislation as well, such as California. However, players must be present within the state borders in order to participate in any state regulated options leaving players from 47 states pretty much out of luck. So US players who are interested in participating in real money play will need to consider an offshore site. In other words, sites that are located outside of the United States and ultimately out of the reach of US federal laws. Again, there are no federal laws that prohibit US players from participating in offshore gambling that is legally licensed and regulated through a legitimate and respected governing jurisdiction. Our US State Gambling guide goes into great detail on which states currently offer legal gambling, current laws that affect players and a list of offshore sites that accept players from your specific state. Why Do Certain Gambling Sites Not Allow American Citizens? It's really hard to say why some gambling sites continue to accept US players and others don't. Certain lawyers that represent offshore gambling sites feel that it's risky to continue accepting American bets, while others feel that precluding international companies from doing business in the United States is a violation of the World Trade Organization and free trade. The bottom line is the US doesn't exactly practice what they preach when it comes to online gambling and free trade. What Is An Offshore Gambling Site? Just as the name implies, an offshore gambling site is simply one that is located offshore, outside of US borders and ultimately beyond the reach of the US government. While we cannot speak for the hundreds of offshore sites that currently accept USA players, we can, with absolute confidence; guarantee that every single site you see listed in our guide is licensed, regulated and reputable. In fact, many of our recommended brands will pay your faster than some of the state regulated options available here in the US. In addition, these offshore sites often offer you far more bang for your buck in terms of bonuses and promotions. Some of the sites we recommend are offering as much as a 400% first time players bonus when they sign up. You won't find any offers that come close to that at any of the big Vegas names that are currently offering legal gambling online here in the US. How Do I Know If A Particular Online Gambling Site is Safe? The best way to ensure you only land at reputable, legitimately licensed and high quality gambling sites is to rely on the input of industry professionals. While we can't speak to other guides found on the web, legalbettingonline.com was created by a team of online gambling professionals who carefully analyze the online gambling sites operating within the industry, and vet them for legal licensing and regulation, the quality of their security profile, their overall performance and quality level, and the value they bring or don't bring to the community. The review process is intense and complex, and effectively reveals the industry's leading options and eliminates the questionable, dangerous, low quality and undesirable destinations. Industry analysts have vetted all the brands listed in this guide. Yes, assuming you are playing at a casino brand that utilizes reputable software solutions such as Microgaming, RTC, Playtech or Netent. All of these software providers are consistently audited by third party businesses regarding their fair gaming practices and compliance certifications. In addition, they each operate using what is known as a random number generator (RNG). This technology ensures completely random outcomes on all games of chance. The games are also kept fair through sophisticated anti-fraud protection that protects both the players and operators from any attempts at fraudulent activity or cheating during game play. What Deposit Methods Are Offered For USA Players? USA players don't have it as easy as those in countries like the UK where online gambling is legal across the board. Because of the UIGEA and American banking laws, players from the USA have a tough time making deposits into online gambling sites. We are currently working on a new section that will assist US players in learning about the most reliable ways to fund their online gaming accounts. Until that is finished, we definitely recommend using Bitcoin. What Does The Future Hold For Regulated Online Betting In America? What Is Bitcoin And How Does Is It Work For US Players? Bitcoin is a cryptocurrency that has is changing the online gambling industry in many ways. It offers completely anonymous transactions and allows players the ability to both deposit and receive payouts in record times. There are all kinds of advantages to using bitcoin which we won't get into here. Instead we recommend you read our thorough guide to legal bitcoin gambling which has all the information US players need to make an informed decision on whether or not to use it to fund their gambling accounts.